School librarians in Iowa celebrate, an update in Texas where educators are fighting for raises, and more news in this edition of NewsBites. 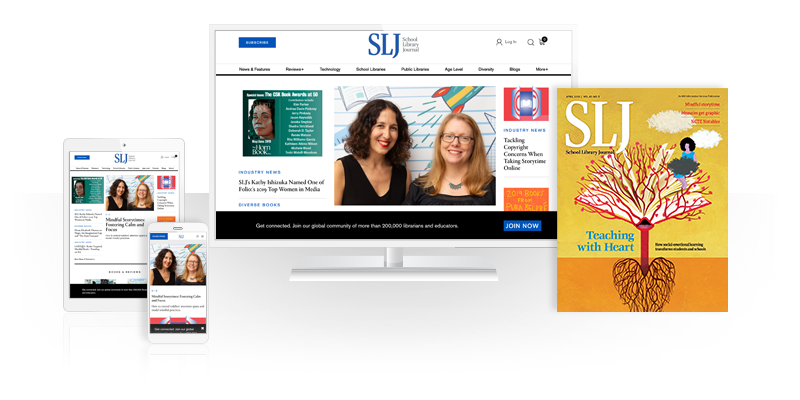 UPDATED: School librarians in Iowa celebrate, an update in Texas where school librarians were added to a bill for educator raises, and more news in this edition of NewsBites. The Iowa state senate bill that removed the requirement for school librarians has been amended to restore that requirement. After received “a barrage of emails and phone calls” calling for a change, according to EveryLibrary, state senator Mark Lofgren added an amendment that removed the wording from section 13 from Iowa State Senate Bill 1190. The bill also originally made nurses optional. The position was restored to a requirement as well. Meanwhile, in Texas, librarians were originally not included in the bill providing $5,000 pay raises for teachers that passed the state’s Senate Finance Committee, but a late add put them on par with their fellow educators when it passed the full Senate. It also added counselors to those getting raises. It now moves to the state house, where it is not expected to get through. Librarian of Congress Carla Hayden will host a conversation with world-renowned music, television, and film producer Emilio Estefan on Monday, March 11 at 7:30 pm in the Library of Congress in Washington, D.C. Part of the initiative, “Explore America’s Changemakers,” the event also will be live-streamed on the Library’s Facebook page and YouTube site. Fans can also follow and join in on the #Changemakers conversation via Twitter. Emilio and his wife, acclaimed singer, songwriter, and actress Gloria Estefan, will receive the Library of Congress Gershwin Prize for Popular Song on Wednesday, March 13. The honorees represent two historic firsts for the prize—for a married couple and musicians-songwriters of Hispanic descent. Scholastic F.I.R.S.T. (Foundations in Reading, Sounds & Text) “An Adventure on Ooka Island” (Grades PreK–2): In this game-based foundational reading program, students embark on an interactive reading adventure, learning the 44 sounds of the English language. Scholastic W.O.R.D. (Grades K–5) : Building on research, this helps students build a solid understanding of the 2,500 morphological word families that make up 90 percent of all texts students will encounter, deepening world knowledge and reading comprehension. Scholastic Literacy Pro (Grades K–6): A management tool that empowers teachers to not only provide students with 24/7 access to more than 2,000 fiction and nonfiction ebooks but also monitor and track student reading activities, behaviors, and achievements. SYNC Audiobooks for Teens, sponsored by AudioFile Magazine and powered by OverDrive , begins its 10th year in April. ﻿Throughout the summer, SYNC offers two free themed audiobook downloads every week to each registered listener. In 2019, 28 titles will be available through the 14-week-long season. During the summer of 2018, the SYNC program gave away nearly 170,000 downloads to almost 28,000 participants. Check out the 2019 SYNC list of exciting audiobook titles .